Not yet. I keep looking to see if there are eggs in the nest. I can’t peer into the nest as it is 30 feet above a salt marsh. 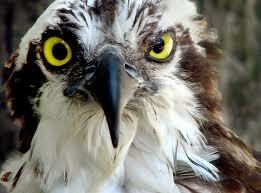 But I know eggs have been laid when the osprey do not leave the nest unattended. The raptors are never in their nest these days, meaning both the male and female are off feeding. But soon, when the two or three eggs are laid, the male O R female guards the nest continuously. While one is feeding, the other sits on the eggs or the branch next to it, watching for predators. This entry was posted in Life and tagged egg, mate, nest, offspring, Osprey, raptor. Bookmark the permalink.